This is one of my favourite lessons to teach. It requires little preparation, but is engaging, educational, and fun! 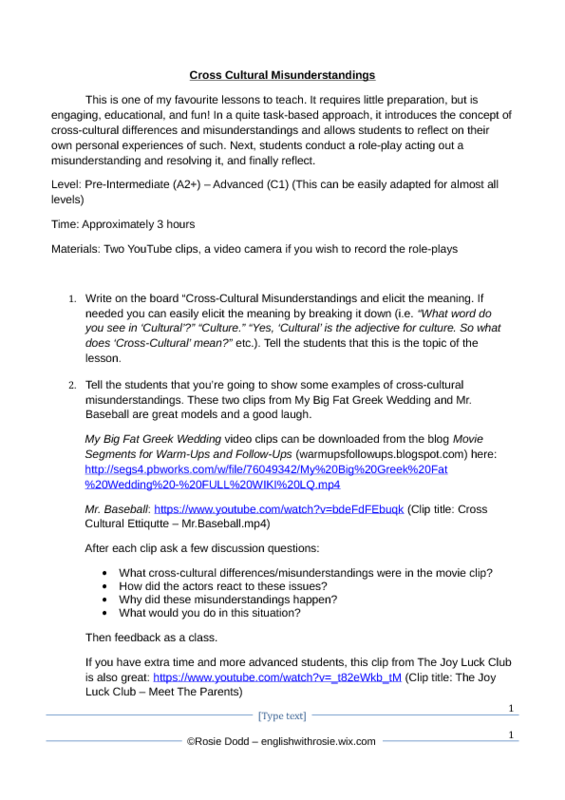 In a quite task-based approach, it introduces the concept of cross-cultural differences and misunderstandings and allows students to reflect on their own personal experiences of such. Next, students conduct a role-play acting out a misunderstanding and resolving it, and finally reflecting.